Our intent is to optimize the dialogue between IT and Companies's strategical business through a consulting service able to solve any kind of IT outsourcing requirement. We develop applications tailored to your needs, capable of satisfying any kind of requirements. Wideside's Penetration Tests (PT) check the security of an infrastructure by trying to violate it dispatching a huge variety of of cyber and non-IT attacks. PT's activities aim provided by Wideside is to give a detailed consciousness on vulnerabilities, eventually workable by third parties to obtain unauthorized access, to the customer. Our consulting service solve the outsourcing's needs of clients that prefer not to directly manage their own IT system or software projects. We handle software development and customization, existing legacy systems maintenance, platforms porting. Technicians, Systemists, Developers and Projects Manager are at disposal directly in our customers' offices for maintenance activities, upgrading, analysis and development on fixed dates and normally constant. This solution produces a sensible saving, both in terms of pure hourly cost, and above all of training/updating one. It also guarantees a very high service continuity. The customer can integrate its own skills in core business with "ready to go" specialists only for the necessary time. So that, it will be possible to reach cost's and efficiency's targets required by a project. Wideside has been always attentive to web development topics. Our applications and our websites comes with proprietary Content Management Systems (CMS), making the final user independent in data entry and content editing. Otherwise we can totally manage custom projects written in html5/css3. Our technologies are at the forefront for security, ready for SEO and fully responsive. We realize graphics, forntend and backend taking care of every detail. We specialize mainly on cases regarding Hospitality thanks to our partnership with SHS Hospitality Solutions. Some of our customers are Golf Ascona, Hotel Casa Berno, Hotel Meridiana and Albergo Losone. Increasing individual productivity within companies is an important goal to be achieved. Personal skills regardless of the role held in the company, are the basis for achieving this goal. - Post course support: possibility to contact and have support in case of need. We will be able to offer you the best solutions for designing and making of tailored products. 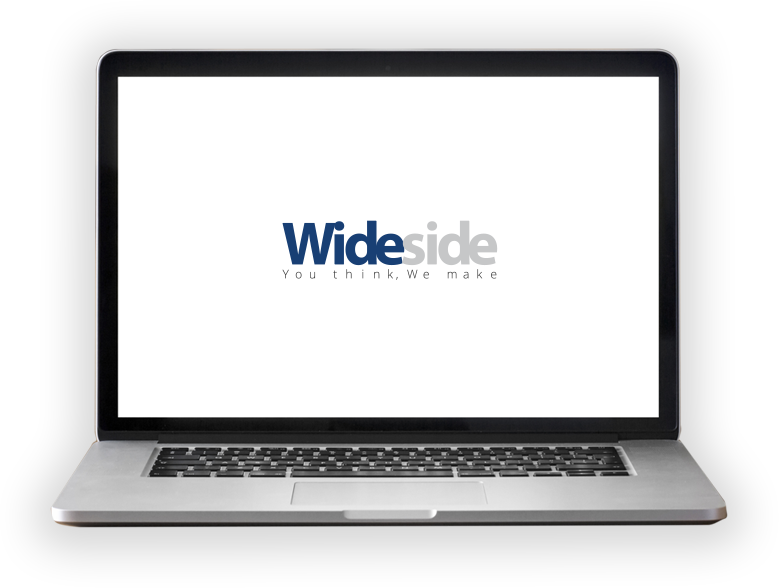 Wideside was born in 2008 thanks to a synergy of integrated profiles, capable of evaluating and satisfying requests of each customer in the IT field. High quality, analytical method, continuous training and real partecipation make Wideside the ideal partner to develop and increase your business. ©2019 wideside all rights reserved.